Though we receive hundreds of questions via e-mail from our readers around the world, one query which seems to constantly be on the minds of both parents and junior tennis players these days has to do with college. The life-long benefits of a college education are obvious, and providing the opportunity for one's child to attend a university of their choice is one of every parents major goals, as well as one of their toughest challenges. With the cost of a college education rising at approximately 8% a year, families around the world are becoming increasingly concerned about being able to afford the best education possible for their children, and they well should be. The projected cost for a child entering a public college in the year 2000 is over $60,00 for four years. A four year education at a private college could cost well over $120,000. This is a staggering amount of money and, for many families, makes the thought of college a seemingly unattainable dream. However, the dream could become a reality with the help of your child's skill on the tennis court. Yes, a tennis scholarship!! Penny Hastings and her son Todd Caven say that "a child with athletic ability and good grades can pay for all or part of their college education with a sports scholarship." Hastings and Caven know what they are talking about because they have gone through the lengthy process of searching for, and obtaining, a college athletic scholarship. As Todd was approaching the end of his high school career, he and his mom began to look into the possibility of a college athletic scholarship. They were quickly frustrated. "We discovered that there was no recruiting hotline and no centralized location where college coaches could go to discover qualified student athletes for their programs," says Hastings. This realization, combined with extensive research, illustrated the need for, and formed the basis of their book, "How To Win A Sports Scholarship." 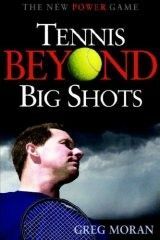 The book provides a step by step blueprint for not only high school tennis players, but all athletes with scholarship hopes. It includes a survey of over 500 college coaches, discussions with hundreds of high school coaches, counselors, college financial aid and admissions officers as well as student athletes and their parents. Contrary to popular belief, there are a great number of college athletic scholarships available each year. Over 100,000 to be exact, in 35 different sports and yes, tennis is one of those sports. You may be thinking, "Okay, so there are scholarships out there, but only the "superstar" tennis players get these. I don't have a high ranking, I haven't won any tournaments and I can't even crack the top position on my high school team, I have no chance for a scholarship." Not necessarily!! It is not only the "superstar" athletes that get college scholarships. "Only 1% of high school athletes get 99% of the attention from college coaches," says Hastings and Craven. "These superstars, commonly known as blue chip athletes, have extraordinary athletic talent, and top the list on scouting reports and are ranked state-wide and even nationally. Remember though, there are just a handful of these superstars compared to the thousands of other athletes who make an important contribution to college teams each year." "Even the most competitive colleges sign only one of two of these high profile athletes in a given year," continues Hastings, "while less competitive colleges usually do not sign any, but still offer as many scholarships." So who gets these scholarships? You can, provided you know how to go about it. Before any attempt to earn a tennis scholarship begins, you must assess your athletic ability, along with your potential to play on the collegiate level. Talk with your high school coach as well as your personal pro (if you have one). Speak with any college players that you know or other coaches. They should honestly tell you if you have collegiate potential. As one coach put it, "If you're not competitive as a senior in High School, don't expect an athletic scholarship." Once you, and those whose opinions you trust and respect, agree that the potential is there, you must then come to terms with the fact that, unless you are a highly ranked and much publicized tennis player, the college coaches will not come knocking on your door. Throughout your scholarship campaign it is extremely important to define and constantly remind yourself of your goals. First and foremost, these goals should include choosing a college which will provide you with the best education possible. Your second goal should be to find a school where you can play tennis. Finally, you should try to win a scholarship to your chosen school. Once you have honestly assessed yourself and have your goals prioritized, you then need to put together your scholarship team. As in any major undertaking, there is much to do, and you cannot do it alone. Just as you would choose the best players around you to make up a sports team, you need to gather the best people available to help you choose a college and win a sports scholarship. Suggestions for your team members would be your parents, high school/ club coaches, coaches from opposing teams, other coaches, high school counselors, teachers, employers. Your team can serve many functions. In addition to helping you with the nitty gritty work such as stuffing envelopes and organizing information they can also "act as consultants, giving you valuable information about specific college sports programs and coaching personnel, and as guides, helping as wind your way through a sometimes complicated search for the right school. They can also speak on your behalf, recommending you to college coaches as a good person and as a superior student-athlete," says Penny Hastings. Next Month: Choosing your list of schools.